Came to Bolton in August 1888. He had served his apprenticeship as a calico printer's engineer in Stalybridge and had worked two years in France fitting machinery. He started work in Bolton as an improver engineer with Jackson Brothers Wharf Foundry until 1893. He then set up in business on his own as a metal broker in Bury Old Road. It was so successful that in 1911 he expanded the business into the manufacture of lead piping. By 1923 he moved into bigger premises in Windley Street, employing 20 men. In 1927 he retired leaving his son to run the business. Was a member of the Artillery Volunteers 1889 -1910, reaching the rank of Sergeant Major. In 1914 he became Special Constable and during the First World War he reached the rank of Superintendent. He reverted back to Special Constable after the War. Represented Church Ward from June 1918. Chairman of the Electricity Committee 1920-35. Cut the first sod of Hall i' th' Wood Council Estate on 26 September 1930. President of Haulgh Bowling Club. In 1934 he patented "A device for centring balls used in billiards and like ball games." Freemason - St John's Lodge (221) and Corinthian Lodge (3767). Lived at Eastwood, Radcliffe Road, Bolton but later retired to Knott End near Blackpool. His wife, Mary Emma, was Mayoress. His brother, Charles Roberts, was Director of the Calico Printers Association and President-elect of the Manchester Chamber of Commerce at the time of his death in 1925. 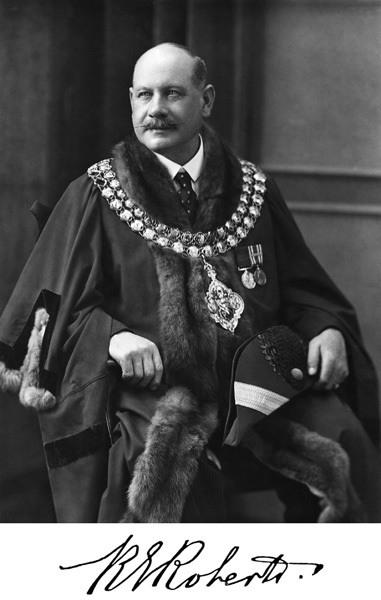 Formal portrait of Robert Edward Roberts as Mayor of Bolton. 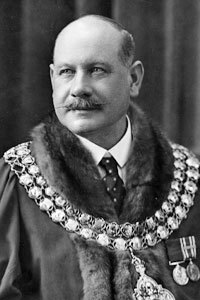 Robert Edward Roberts' link on the Mayor of Bolton's Chain of Office. Azure on a chevron argent three mullets of the field, in dexter chief a canton charged with a hand couped appaumee gules. 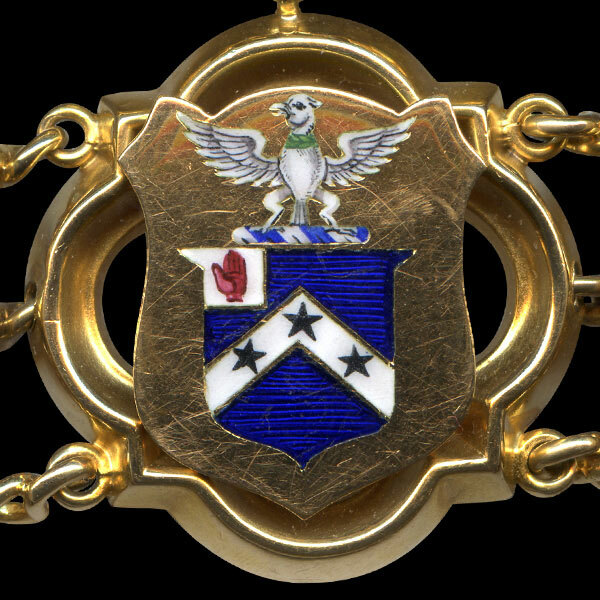 Crest - On a wreath argent and vert an eagle displayed argent beaked or, gorged with a chaplet of laurel vert.